Every item in your ModKit must work with the same version of Minecraft. Your ModKit contains items and you selected a GTA-- San Andreas (Survival Game). 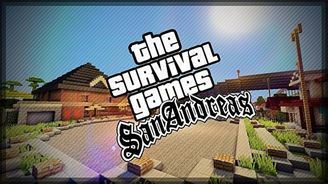 Arena is inspired by the legendary San Andreas - but its not just a plain remake of the city in Minecraft - it is modified for the best Survival Games experience. Follow your friends to see what they are up to! Copyright MCModKit 2019. All Rights Reserved.